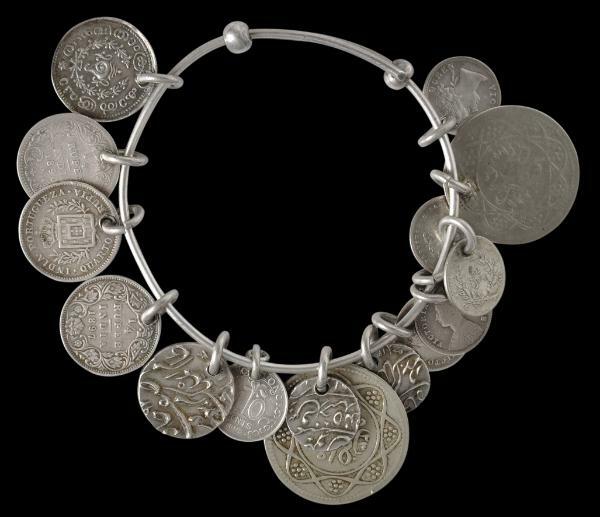 This bracelet, with its simple silver wire construction, is similar to single earrings that Chettiar men wore in the 19th century in South India and Sri Lanka. 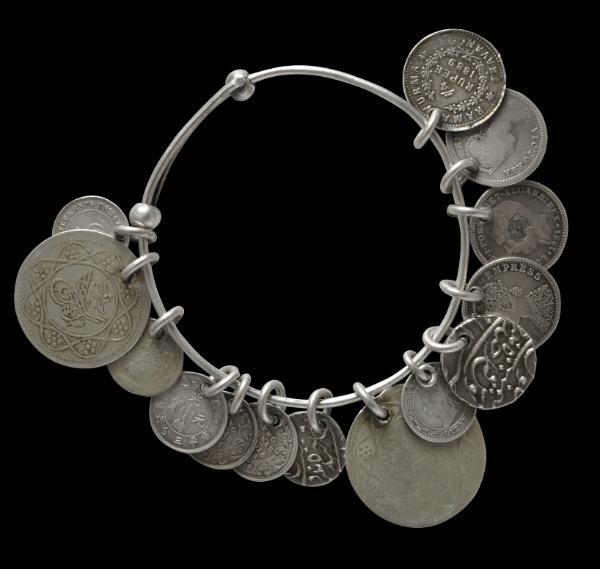 The bracelet here, which is expandable and wearable, has 14 silver coins suspended from it – and thus would be an appropriate bracelet for a member of the Chettiar caste, which traditionally concerned itself with money lending and trade financing, not just in South India and Sri Lanka but also across Southeast Asia. 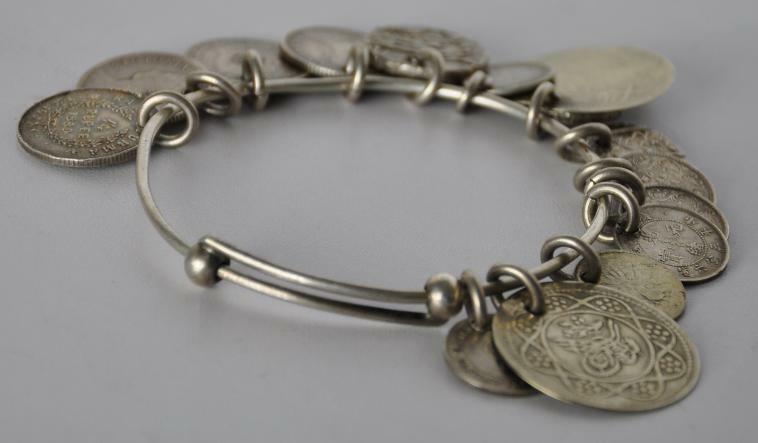 The attached coins with visible dates all date to the late 19th century and include silver coins from Portuguese India, Burma, the Straits Settlements, India and Ottoman Turkey – coins that possibly represented the extent of a Chettiar businessman’s trading interests. The bangle is in fine condition and will fit most wrists. Wimalaratne, K.D.G. & D. Gomes, Costumes of Sri Lanka, 2001. 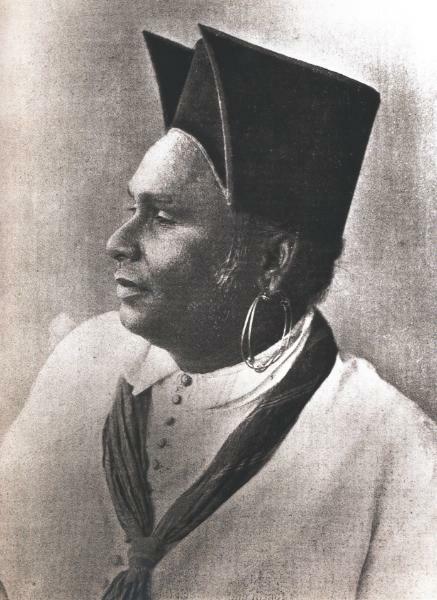 A Sri Lankan Chettiar man, early 20th century.